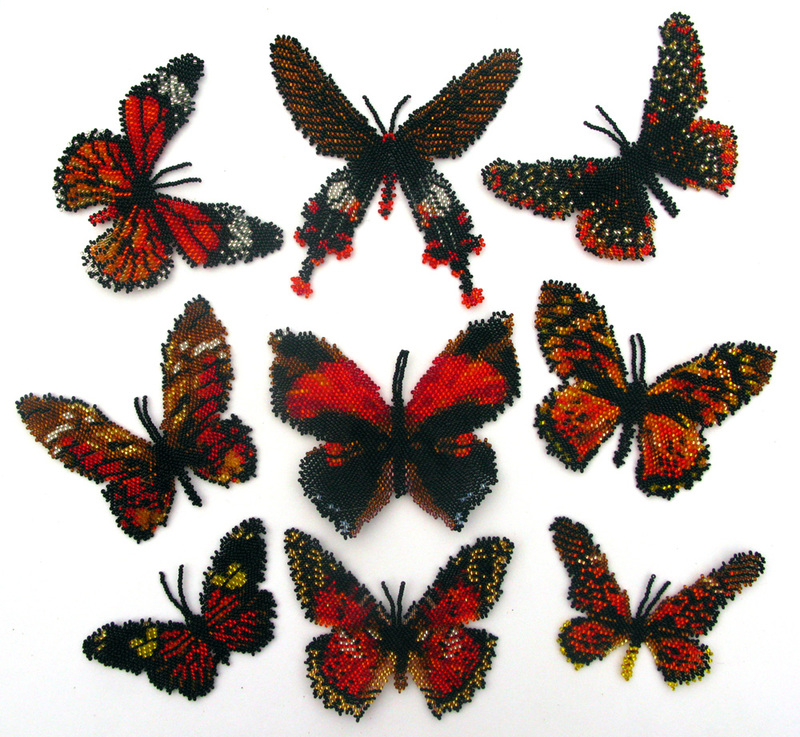 Every pattern includes a photo of the finished butterfly, a palette of needed toho beads and 7 graphs, from picking the first beads up to the finished piece with showing the way of the thread in each graph. The colours in each bead are numbered for easier work. Such butterfly can be used as a brooch, a hair slide, a central part of a necklace or simply as a nice souvenir.